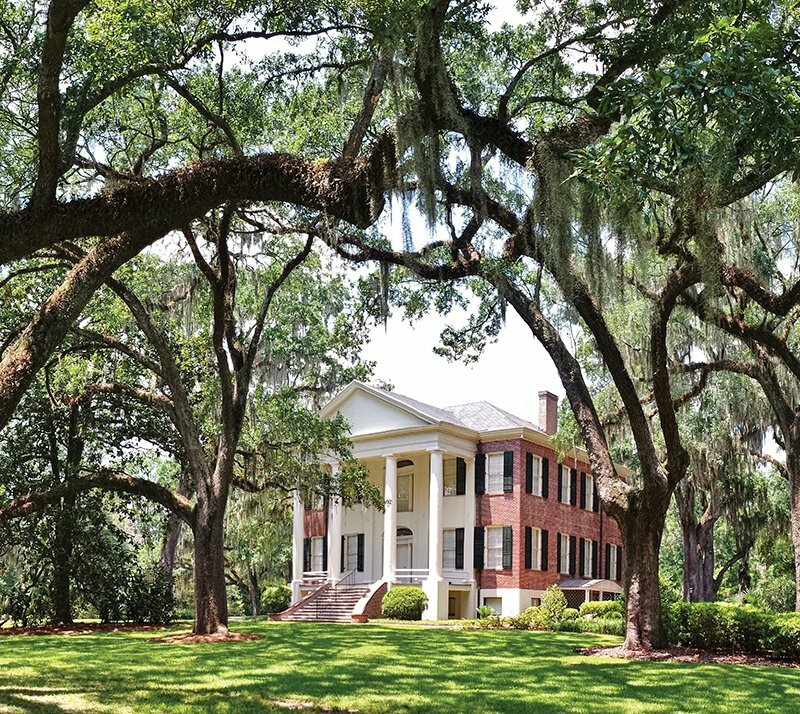 Built by slaves, The Grove was home to civil-rights champion Gov. LeRoy Collins and then became so much more. Not all stories are found on the pages of a book. The Smithsonian National Museum of Natural History, in Washington, D.C., tells a story of power: Man curates eons of history and contains it within a massive, manmade structure that sits on the most American of real estate:, the National Mall. The Grove Museum, which sits on 10.5 acres in Midtown Tallahassee, also tells a story. And, at 10,000 square feet, it’s also a huge building. Granted, it’s not as big as 18 football fields — the size of the Museum of Natural History — but it is an impressive specimen of antebellum architecture. The museum and grounds opened one year ago after a major private-residence-to-public-museum conversion, which took place under the leadership of the Florida Department of State. Visitors approach the home via a winding footpath through live oaks that drip with lacy Spanish moss. It’s the Deep South of the 1830s, right up to the point where the path ends at a 1950s-era sunroom that was built onto the back of the house by its last owners, Governor LeRoy Collins and his wife, Mary Call Collins. Leaping forward through time and entering a museum through the back door can be a bit unexpected; learning that the formal tour of the museum will begin in the basement is an additional surprise. The purpose for The Grove’s unique tour route relates back to the interpretive plan that was created for the museum. In spatial-storyteller speak, introducing the unexpected can help to eliminate preconceived ideas of what a space is “supposed to be” and create a more open frame of mind in which greater learning can take place. To fully appreciate all that The Grove Museum has to offer, an open mind — and a visit to the basement — is requisite. 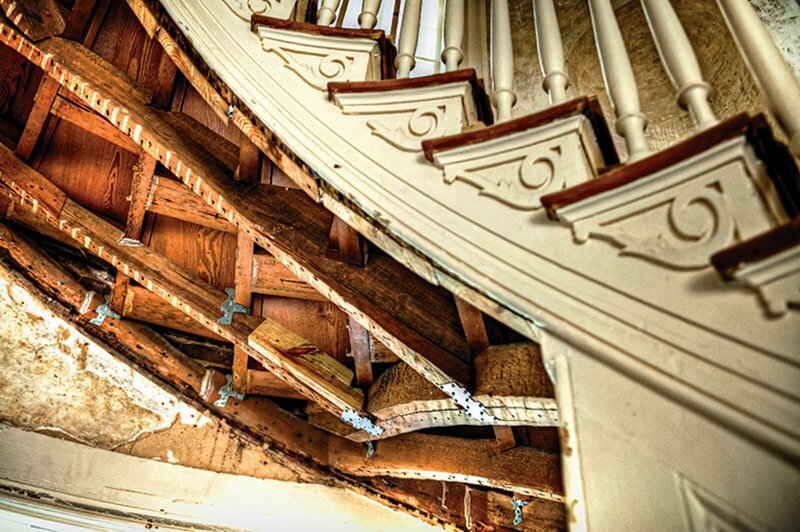 The basement’s low ceiling is made of wooden planks lying across huge floor joists, or beams, which bear the marks of the saws that split them in the 1830s, when construction on the building began. The hands that wielded those saws belonged to enslaved persons who were owned by the third and fifth territorial governor of Florida, Richard Keith Call — First Lady of Florida Mary Call Collins’ great-grandfather. When Mary Call Collins lived at The Grove, the basement was her husband’s home office. Which means that Governor LeRoy Collins, who made major contributions to the advancement of civil rights, was surrounded on all sides by the evidence of the labor of enslaved people as he sat at his desk each day. Now that’s a story worth telling, and it’s just the first and last chapters. The bulk of The Grove’s story is about the Call and Collins women. 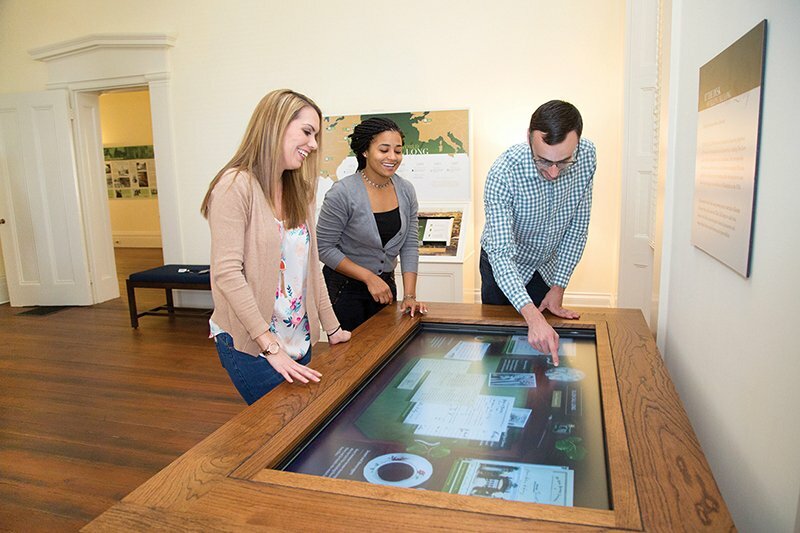 “They played a huge role in the history of The Grove,” says Johnathan Grandage, the museum’s executive director. “The museum exists because of Ellen Call Long, Reinette Long Hunt and Mary Call Collins. If it weren’t for Ellen’s resourcefulness, The Grove and all of its land would have been sold off after the Civil War. Grandage explains that The Grove’s history is important because it provides visitors with a window on a broader cultural and historical experience. “This home has been a witness to a large swath of history, but that history doesn’t mean much unless we can connect it to the present,” he says. The mission of The Grove Museum is to preserve and interpret the Call-Collins House, its surrounding acreage and its historical collections, in order to engage the public in dialogue about the struggle for civil rights and American history. Hours: House tours are offered on the hour on Wednesdays, Thursdays and Fridays, starting at 1 p.m., and on Saturdays, starting at 10 a.m. All final tours begin at 3 p.m. The grounds, which include 10.5 acres of park-like property, are open Wednesday–Saturday, from 10 a.m. to 4 p.m. The house and grounds are closed Sunday–Tuesday. Admission: FREE; prearranged tours for groups of 10 or more are available at $1 per guest. Please contact TheGrove@dos.myflorida.com in advance to make group tour arrangements.